Design/Build Services – IEC Integrated Engineering Consultants, Inc.
IEC brings together the best qualities of traditional engineering and the design-build process. Our engineering consultants are professionals with expertise in the design of high-performance engineering systems (mechanical, electrical and plumbing). IEC maintains the single point of responsibility but gives design-build contractors the advantage of knowing exactly what to expect and incorporate into the final project. 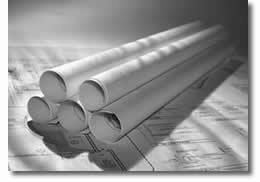 Our professional design engineers work closely with Owners and Architects from the beginning to the end of the construction process. The result is a building delivery method that truly integrates conceptual design and functional performance. With IEC engineering and constructability are utilized continuously and more effectively when the designers and contractors work as one team during the entire design process.